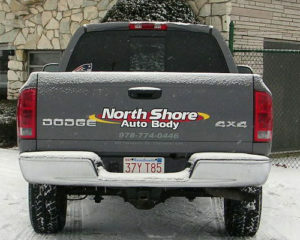 North Shore Auto Body provides precision frame and uni-body collision repair. 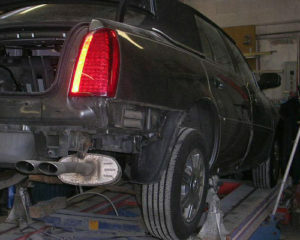 Our state-of-the-art systems allow us to repair your car back to it’s factory specifications. 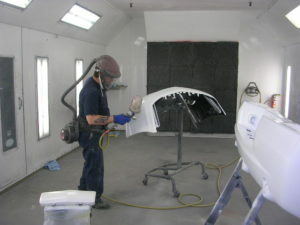 To ensure perfect color matching, North Shore Auto Body of Danvers is equipped with a computerized PPG Global Touch-Mix paint mixing system along with a state-of-the-art heated paint booth that “bakes” the paint onto the vehicle producing original color and finish. Every vehicle prior to delivery is washed and vacumed in order to give you that “new car” feeling. North Shore Auto Body hopes to be your reliable source for every aspect of your car’s small maintenance and repair in the future, from a brake job to fixing a loud muffler! Our auto service staff is trained to advise you of the most reliable service and with repair recommendations that fit your driving habits. Our technicians use the latest diagnostic equipment and information systems available. ou can be assured that you will receive personal, efficient, dependable service and the most reliable value for your service dollar. Paintless Dent Removal is the process for removing most minor, and even some major dents, without repainting the vehicle and removing the factory finish.